The Police in Delta on Friday used teargas to disperse dozens of pro-Biafra agitators who staged a protest rally in Asaba. The protesters said they were in solidarity with the Indigenous People of Biafra (IPOB). 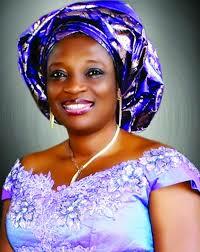 Some members of the group were arrested for blocking the Asaba-Benin expressway. 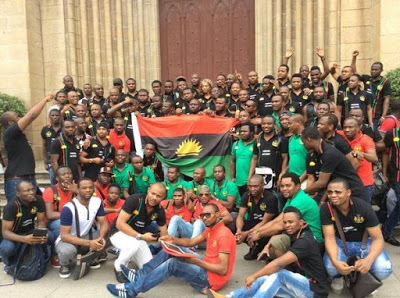 They chanted songs calling for the unconditional release of Nnamdi Kanu, a member of the Pro –Biafra group. Biafra is not one of the problems besetting Nigeria. Those unable to appreciate this fact may require a dose of creative thinking. Nigeria’s stubborn thorn in the flesh is its adamant repudiation of the self-evident concept of the changelessness of change, upon which sits a crippling unwillingness to engage that same constancy of change. There are two random but famous declarations – one little remembered today, the other something of a mantra – that neatly wrap up the national antiparty to inexorable change and its management. The Social Media Jury, a panel session master class on Social Media will hold on Tuesday November 10th by 11am at the Lagos Creative Industry Fair venue in Freedom Park, Lagos Island. Tagged ‘’ Social Media: The New Global Currency’’, the master class will bring together creative entrepreneurs and SMEs to a platform where they can have first hand interaction with thought leaders and learn from the best case studies. Chemical depot located at Nkpor junction in Idemili North Local Government area of Anambra State, yesterday evening set three buildings ablaze. Chemicals stored in drums in the depot caught fire and exploded, setting the three buildings: a five-storey, three-storey and another ablaze. After several months of lobbying and horse-trading, the tension which before now gripped members of the upper legislative chamber, over who gets what in the committees to oversee various ministries, departments and agencies of government, seems to have been doused. This came as the Senate President, Bukola Saraki, on Wednesday named the chairmen and deputy chairmen of the 65 committees to oversee various ministries, departments and agencies of government. Nigerian President Mohammadu Buhari will on Wednesday (Today) declare open a two day retreat for the confirmed ministerial nominees later this morning. The retreat which would run from today through Friday would hold at the presidential villa in Abuja.“We will never betray the people because they have risked everything. 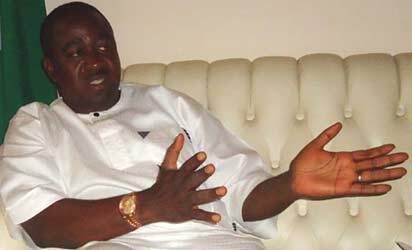 After several days of extended interrogations, the Economic and Financial Crimes Commission will today arraign the former Benue State Governor, Mr. Gabriel Suswam, for money laundering and embezzlement. The arraignment of Suswam, who ruled Benue State from 2007 to 2015, follows the filing of a nine-count charge largely bordering on money laundering to the tune of N3.1 billion against him at the Federal High Court Abuja on October 2. Anambra sate Governor, Willie Obiano has been called upon to rescue the judiciary by calling off the ongoing judiciary staff union JUUSN indefinite strike action to reduce the number of cell inmates scattered across different police stations in the state. They said, suspects are dying in droves while others are languishing in prisons due to the ongoing JUSUN strike action and called for a speedy intervention of government to save the face of many innocent inmates that are currently been subjected to untold hardship when there is no constituted law courts to adjudicate on their matter. Leading record label, Mavin Records have once again serve fans with a pleasant surprise. 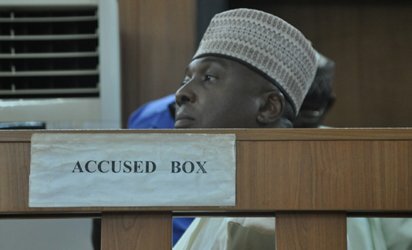 About two days to the commencement of full scale-trial on the 13-count criminal charge that was entered against him by the Federal Government, the Senate President, Dr. Olubukola Saraki, yesterday, approached the Supreme Court, urging it to arrest the proceeding of the Code of Conduct Tribunal, CCT. At least five million bank accounts were deactivated by Deposit Money Banks operating in the country on Saturday night following the October 31, 2015 deadline set by the Central Bank of Nigeria for bank customers to register and obtain their Bank Verification Numbers, findings by our correspondents showed on Monday. Some senators’ insistence on serving in juicy committees appeared to have delayed the announcement of the panels by the Senate President, Bukola Saraki, last week, investigation has revealed. 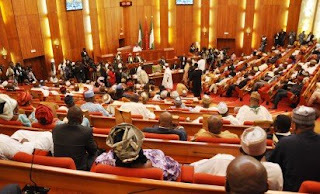 Ashiwaju.org learnt that most of the members of the upper chamber filled in the forms distributed to them, the juicy panels, thereby leaving the leadership the herculean task of redistributing the 65 committees among the 109 senators. That Anambra State is adjudged as the most erosion devastated state in Nigeria, with over three thousand different erosion sites scattered across many communities of the state is an issue that needs urgent federal and international agencies attention. Following Friday’s pronouncement by President Muhammadu Buhari that Nigeria is broke and he might not be able to pay ministers, some minister-designates have said they are ready to work for free. 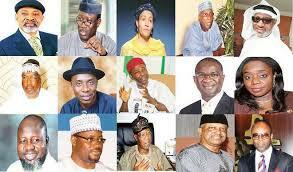 Some of the ministers who said this include Mr. Adebayo Shittu and Professor Isaac Adewole. The ministers, who along with their colleagues are expected to be sworn in and given portfolios any moment from now, described their appointment as a call to service. Nigeria’s ex-Super Eagles player, John Fashanu, disclosed that he paid his brother Justin Fashanu, the sum of N23 million to enable him not to make public his gay status. The former Wimbledon striker made the confession a week after it emerged that two top footballers were planning to openly declare they are gay. The decision by Senate President Bukola Saraki to ignore protests by his key allies against the clearance ministerial nominees may not lead to a reprieve from his ongoing trial by the Code of Conduct Tribunal.